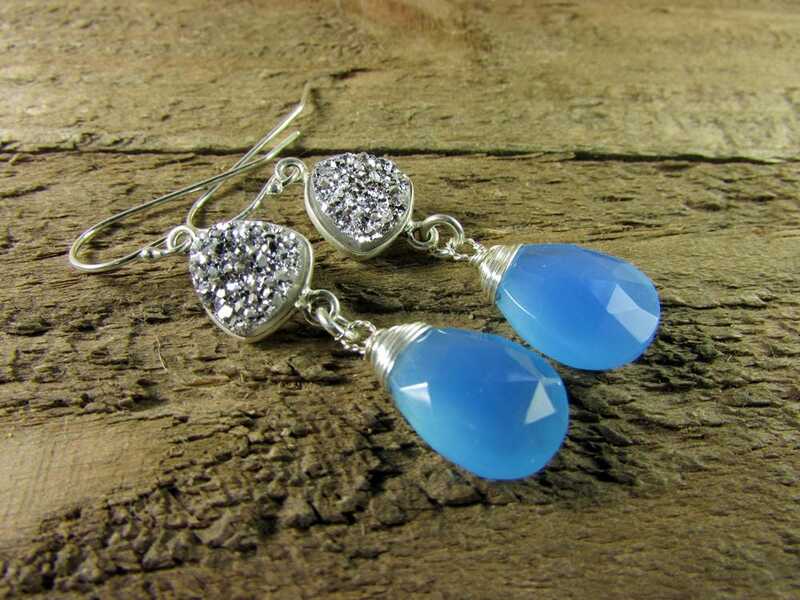 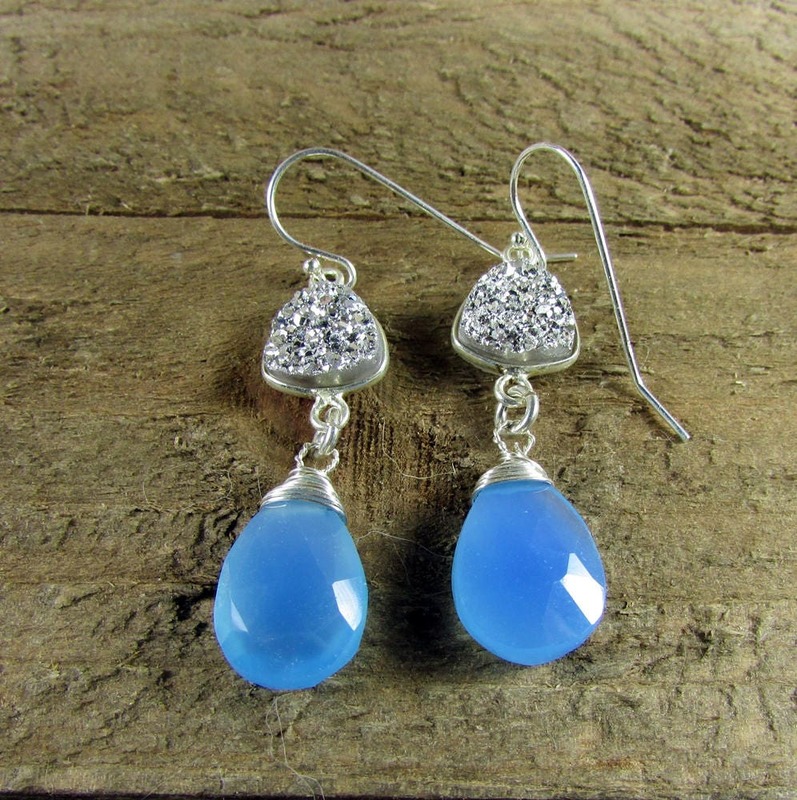 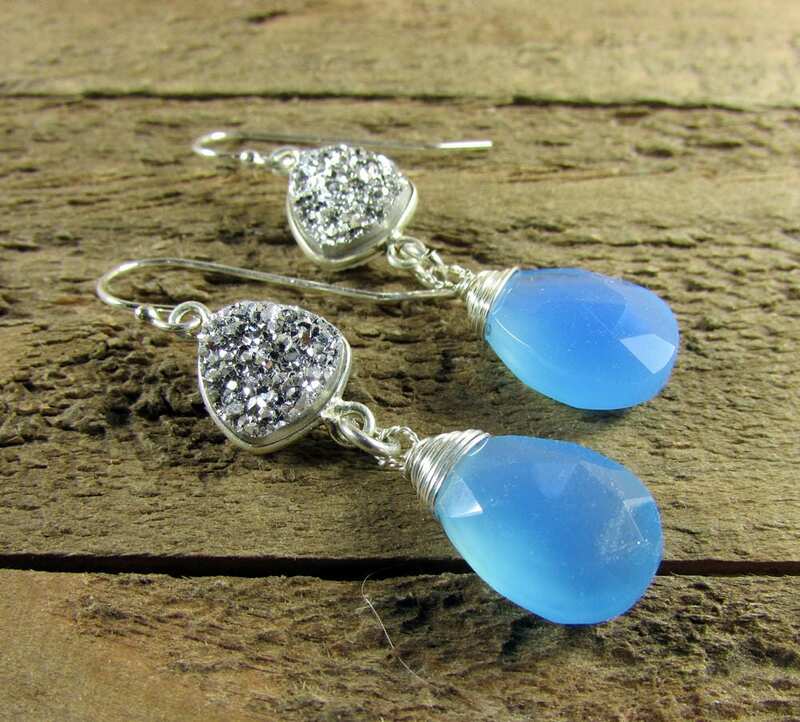 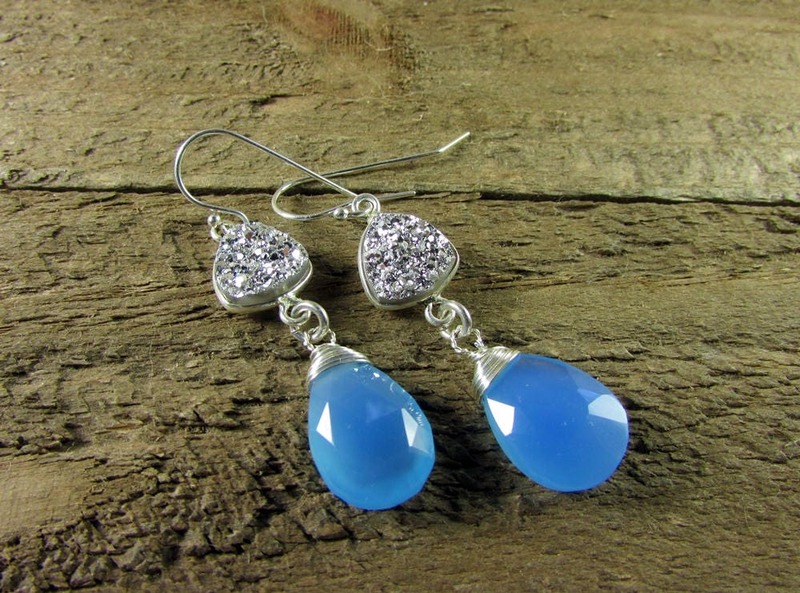 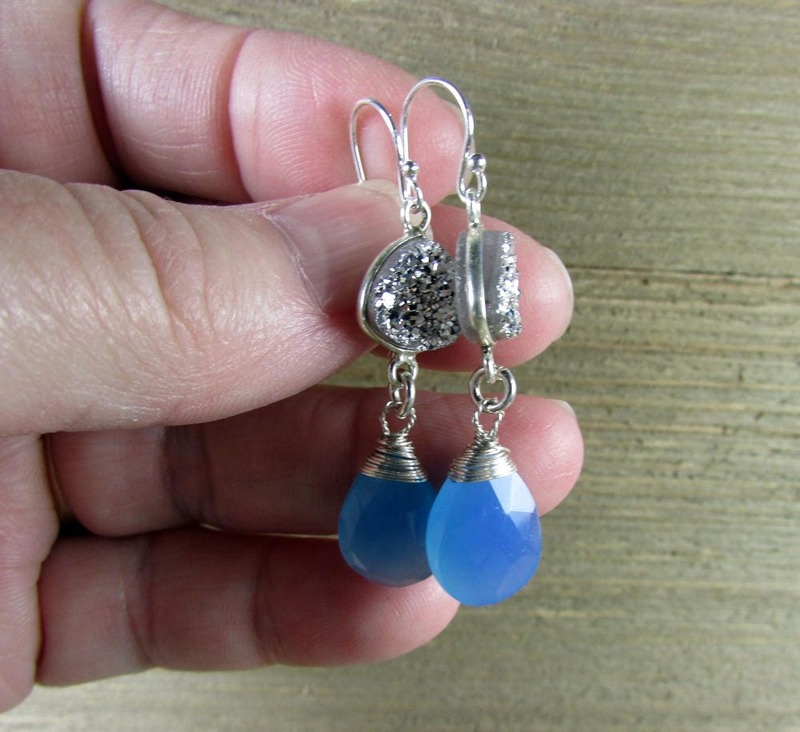 A stunning baby Blue Chalcedony and Silver Druzy dangle earring made with sterling silver wire and sterling silver ear wires. 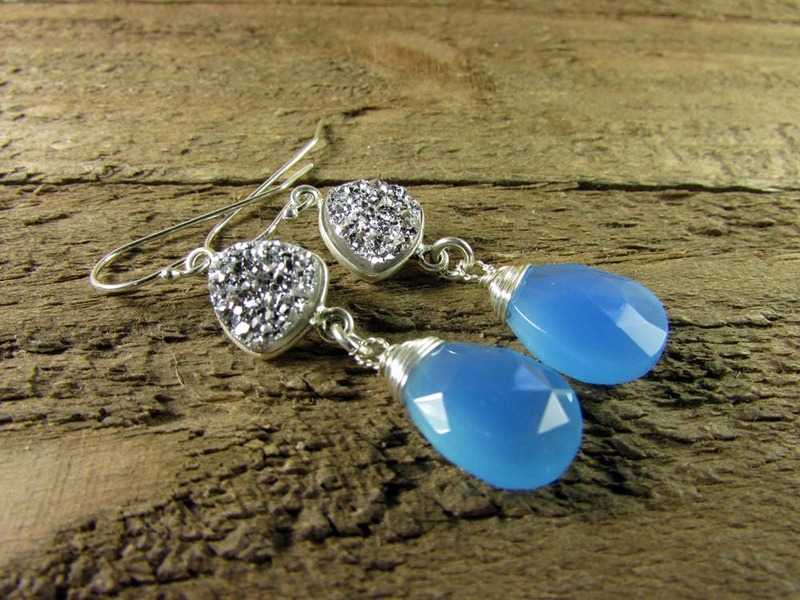 Perfect for the holidays or any occasion. 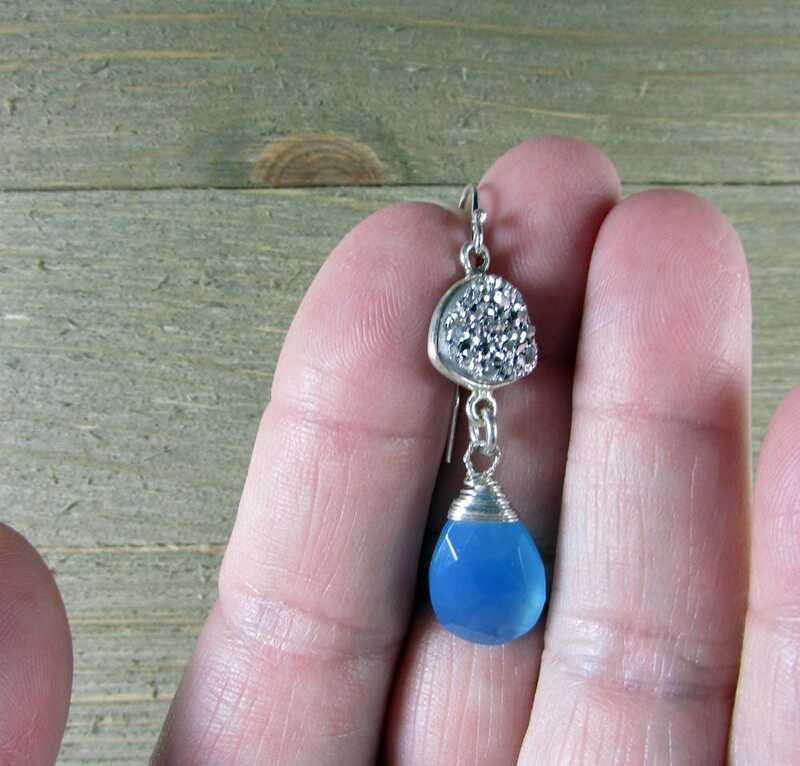 The Chalcedony gemstone is 10mm x 15mm in size and the triangle druzy connector is 10mm in size.